We’d love your help. Let us know what’s wrong with this preview of Normality Twisted by Jennifer Kibble. 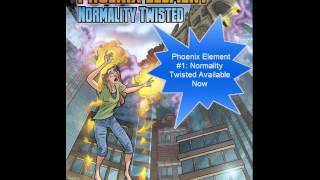 Phoenix Element - Normality Twisted is a book series that mixes magic, fantasy and super heroes into a pot and spans several different planets and lifetimes. Jennibelle starts her day just the same as any teenager, with trying to sleep in and avoid her everyday world. 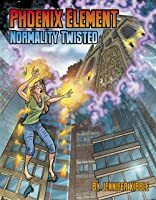 Thankfully it's the last day before Spring Break, however a new student, Kyle Roberts, appears on the same Phoenix Element - Normality Twisted is a book series that mixes magic, fantasy and super heroes into a pot and spans several different planets and lifetimes. To ask other readers questions about Normality Twisted, please sign up. Full disclosure: I received a copy of this from the author. I don't remember if I won a Goodreads contest or if she sent it because I offered to put her handouts on the author tables at DragonCon. Either way, I "Internet" know Jen and she in no way has influenced this review. Coming of age/Awakening books have long been a part of young adult and sci-fi fantasy literature. Jen's done a fantastic job of creating a heroine you can believe is a real teenager struggling to come to terms with a world b Full disclosure: I received a copy of this from the author. I don't remember if I won a Goodreads contest or if she sent it because I offered to put her handouts on the author tables at DragonCon. Either way, I "Internet" know Jen and she in no way has influenced this review. Coming of age/Awakening books have long been a part of young adult and sci-fi fantasy literature. Jen's done a fantastic job of creating a heroine you can believe is a real teenager struggling to come to terms with a world beyond Earth and some rather unnatural powers. She's got a great balance of action sequences to down time/discovery. However, I struggled to get through the book because of the first person present voice, and some poor (or lack?) of editing. I don't blame the author for this. If she did have an editor, they didn't do a great job in helping her cut down on some of the redundancies and the proper rewriting that would have made the book shine brighter. Punctuation and formatting also needed work. I feel slightly bad giving it a 4 star review but let me explain. First off it is an enjoyable young adult book. It has a little bit of every thing in it from robots and space travel to mages and teleportation. It is it's own book by all means, it might feel like one thing and turn into another but in the end the author was able to make her own world, or worlds. It has plenty of action and stuff I would love to see turned into film or television, the idea of seeing the "missed the movie" scene to I feel slightly bad giving it a 4 star review but let me explain. It has plenty of action and stuff I would love to see turned into film or television, the idea of seeing the "missed the movie" scene towards the end of the book or even the very end on screen would be amazing. My biggest issue is the formatting or the chapters and I feel as if the proof readers didn't show up to work, which really does hurt a world you are trying to dive into. Also toward the end a big part of the story is finally told and not that it was a surprise by any means it still don't want to spoil it for you, but I feel like this part of the book did become a bit harder to follow.